Make sure to read Part 1 if you haven't done so. A Billion Dollar Company Can't Get It Right so I had to explain how they had incorrectly deployed the wrong system. Banks do not care if you give them an incorrect address for a credit card assuming that it's done in good faith. Therefore, a credit card address verification is simply a matching exercise not an exercise in correctness or completeness. If you provide an incorrect or incomplete address to a bank and you supply the exact same incomplete or incorrect address when you buy something with a credit card, then the addresses will match and you get your stuff. The funny thing is our address works because we receive all of our mail there. No one knows their address better than themselves. Now I'm furious because it's two hours and 15 minutes later with no results. They simply apologized and said they couldn't figure out how to take my money. It should've taken 30 seconds or less in the beginning so two hours and 15 minutes is 270 times longer than it should've taken. Hang in there because I haven't gotten to the best part yet, the real insult to injury. The next day I was still reeling from my extreme loss of energy from the previous day's credit card chaos. I was quickly reviewing bank transactions and I was shocked to find eight pending charges for $52.95 resulting from the supposed eight failed attempts to charge our card. So just to be clear our credit card was incorrectly denied 8 times, we got 8 pending transactions and no access to the tax software we were attempting to purchase. The value of cloud based Intuit Tax Online is obviously better then Desktop based ProSeries Tax because the software fee is $0 for the former and $350 for the latter. In addition the per tax return fee of the former is 1/3 to 50% less than the latter. Since Intuit couldn't figure how to take our money, we're back spending $350 on Proseries that we otherwise wouldn't have had to pay. Here's the insult to injury; the 8 pending charges that never happened in the first place highjacked $423.60 of our resources for 4 days which could have been used for the $350 fee. Wait there's more. We still had to go back, waste time and manage the pending charges some of which are still unresolved at the time of this writing. So the 270 times longer described above is actually getting longer all the time. 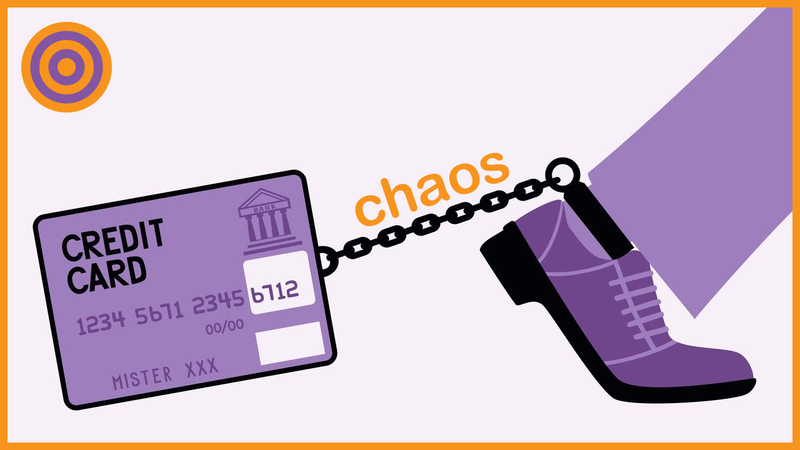 Fortunately, The one thing we got out of this was a great Credit Card Chaos story. I ask myself “How can bitcoin solve that?” Well the answer is simple. If the billion dollar company accepted bitcoin, I would have sent my bitcoin, had access to the software within minutes with 100% certainty, no waste of time and most importantly no headaches like the massive ones I got from this extreme Credit Card Chaos story. I love you bitcoin. Dell and Dish accept bitcoin so why can’t you?